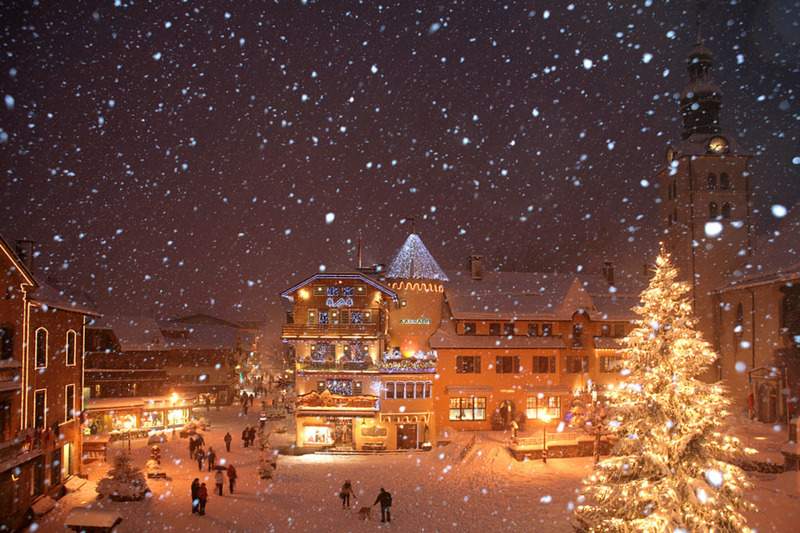 Megève is a town best known for its skiing, and rightly so. Nestled in the shadow of Mont Blanc, the natural snow, along with the 175 snow cannons, ensure great skiing throughout the year. However, there are also some fantastic views on offer, as well as some wind-down activities for a more relaxed stay. Check out our guide to the best that Megève has to offer. Good for both skiing and hiking, this is a large area with a great variety of slopes. For skiiers, there are black slopes, and if that’s a bit intimidating, there’s a blue that’s just as good and areas for beginners and children. Meanwhile, hikers will find a great path in the summer. The path that leads down to Planellet via the forests is probably the one with the best views. It’s a long walk, but not too hard, and the views are fantastic. Watch out for: The crowds on the slope. It’s expansive, so it shouldn’t be too hard to find quiet runs. A short walk, starting from the centre of Megeve, and lasting around half an hour. On a dull day, the views are nice, but on a clear day they ascend to beauty. From the mountainous surroundings to the tiny chapel along the route, the word that comes to mind is picturesque, or maybe postcard. The walk shouldn’t be too hard for people used to walking, but it slopes upwards all the time and is quite winding, so it’s probably not suitable for groups with children or mobility problems. A great area with a great variety of slopes. The greens are on a road, the blues on dirt roads, and the reds and blacks go through the woods. The north face has the best snow, contrasting the slightly barer south side. This ski area offers the best views of Mont Blanc, too, so it could be one to visit if you want to see the mountain against the sky. It’s just a cable car, but it’s a cable car offering fantastic views of Megève itself. Connecting Megève and Mont d’Arbois, it’s the best way to see the town, the valley, and the surrounding mountains. It can be busy at peak times and during peak season, with waits of around half an hour and packed cars, but when it’s quiet there are no queues and it might just be you and the operator in the car. A small museum regaling the history of the town, this is a simple spot. Exhibitions are presented quietly, but are in-depth and interesting. With exhibits on winter sports, including the obvious skiing and the less obvious luge, it’s sure to hold your interest for at least a little while. It doesn’t take too long, and access is free, so it’s worth seeing. After a hard day (or two) on the slopes, there’s nothing better than a massage in the warmth of this spa. Decked out in chalet décor, it’s a low-light setting with stone, wood, and animal heads on the walls. It really does feel like a mountain resort more than a spa. Between the massages and the jacuzzis, there’s something to treat whatever is ailing you. A small lake in the shadow of the Aravis, this is a lovely little spot. There’s an area for children, with a swing, roundabout and sandpit, and it’s a great place for a picnic. For fishing enthusiasts, you can catch trout here in every season but winter, and there are occasional watersports in the summer, for tourists who are so inclined. This casino has six card tables (roulette, blackjack, and texas hold’em) alongside 65 slot machines ranging from 1 cent to €5 a play. In a cosy alpine building, there are also two bars and a restaurant, so you don’t even have to gamble to have fun. If you do want to throw some money around, however, bring a passport, you’ll need to present it to get into the gaming room. This isn’t cheap, at €140 per person, but it’s a pretty unique experience if you can spare the money. Your euro gets you a short aerial tour of the Alps from 3km up in the air, flying over the Chamonix valley and then exploring some of the bigger glaciers and mountains. The planes only take two or three passengers at a time, but if your group is large enough to book two planes then they fly in tandem, so you can wave across to your friends above the mountains. An expansive sports centre, this spot has areas for basically any sport you might be into. A large pool for swimming or aqua-aerobics accompanies a spa in the same chain as Les Fermes de Marie. An ice rink and a snoeshoeing area might seem redundant given the centre’s setting, but they’re both high-quality enough that it doesn’t seem to be an issue. Finally, there’s a simple, but well-equipped gym, so that you can work on your form both on and off the pistes.